Just so everyone stays up to date on the perverted world of Monsanto, the state where I live is now being threatened by Monsanto! 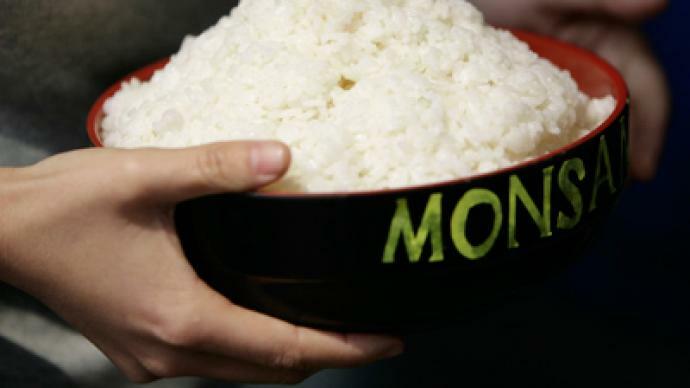 This is the world we live in, this is what happens when you don’t want to go along with the Monsanto program. Is this the kind of world you want to live in? If not, STOP eating their food. 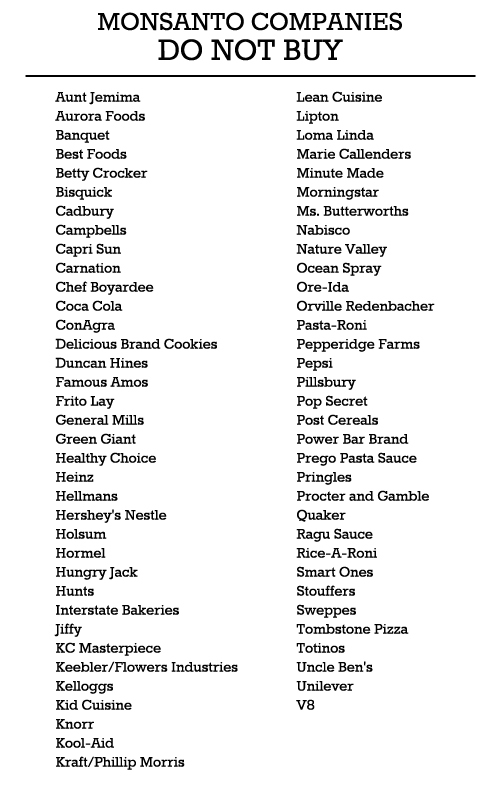 These are some of the companies that use GMO products. If you care about your families health, don’t eat from these companies! This entry was posted in Article, Links, reblog and tagged 11 April, 2013, channeling, channelings, Disclosure, Earth, news, spiritual, Spiritual evolution, The Threats Grow, Visionkeeper, World. Bookmark the permalink.